Whether you are a fast-growing, mass-market retailer or a boutique brand with niche group, there’s a way for you to grow your audience into a passionate base with today’s social influencers. In today’s crowded retail space, many retailers have developed a niche audience. While that may seem like a hard way to scale and grow their businesses, their initial core audiences have become dedicated and genuine customers. 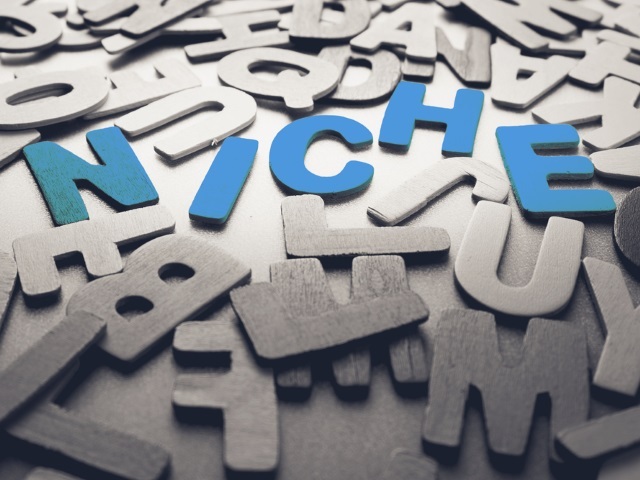 Once you find your niche, you can begin to scale to reach similar audiences, as opposed to dedicating all of your marketing resources to reach the biggest consumer segment from the onset. Working with social media influencers can be a great way to help your business build a loyal group of followers from the ground up. Here’s how you can start building an influencer campaign to amplify your message. Young consumers such as millennials and Generation Z are savvy shoppers. According to a study by Elite Daily, only 1 percent of millennials said a compelling advertisement would make them trust a brand more. Additionally, 33 percent of millennials rely mostly on blog reviews before they make a purchase. As such, it’s important for you to find an influencer right for your specific audience. “Right” could mean that their following is highly engaged or they speak to the heart of your company message. Evaluate what “right influencer” means for you, and then set out to partner with someone who is in sync with your brand to ensure that you’re reaching valuable customers. When working with YouTubers and bloggers, we always ensure that they understand our brand and align with our values. This means doing the appropriate research and reading or watching the influencer’s recent videos and posts, as well as digging into content from months prior. Not sure who’s right for you? Media and marketing companies like TapInfluence, Reelio and Upfluence can help you identify the right candidates within their networks to help amplify your brand. According to a survey by Marketo, nearly two-thirds of consumers are highly annoyed with brands’ continued practice of repeating generic advertising messages. To reach today’s younger consumers, marketers need to be authentic and unique. The Elite Daily millennial study found that 43 percent of millennials rank authenticity over content when consuming news. This means being true to your own brand and company personality. Influencers have their own brand images to maintain, as well. In order to develop a genuine campaign, you’ll need to work with the influencer to make sure your message comes up organically in their daily content or social conversations. You want to find customers that will take to your product organically, so make sure the influencers are living your brand and not just selling it. We also work closely with influencers to find new ways for them to engage with their fans—a gesture that’s always appreciated as it helps them strengthen the relationship with their audience. Once you’ve found the right influencer and implemented a campaign that reflects both your brand persona and the influencer’s voice, it’s time to see how it pays off. At Picpal, we use custom links and work closely with our web and social analytics teams to gauge the amount of clicks and social interactions the activation garners. A large marketing budget is not a prerequisite to begin experimenting with influencer marketing. In fact, for best results, run small experiments to see what works, and then scale the effort. To ensure that you’re obtaining the right return on investment, start with a small activation. This could be a short series of five to 10 social posts or videos. In addition to checking your own site analytics, reviewing the posts and videos for comments is important, as well. YouTube users are known for their candid comments, so you’ll be able to gauge their reactions and either adjust or replicate the campaign for better results.